It was snowing. Again. It always seemed to be snowing when these letters arrived. But Athena was almost grateful to see the familiar, spiky, too-dark scrawl of Ra’zirr. The khajiit had survived his blackout snowstorm, then, and received her letter. She absentmindedly stroked the owl that had delivered the letter, broke the seal, and began to read. To Athena, greetings and salutations. I was pleased to receive your letter, and am more pleased that we survived the storm relatively unscathed. A courier delivered your message; it’s amazing how they can track people through the open countryside! I am immensely happy to report that none of our efforts were wasted. Lydia seems to think that it was your intervention that saved all that we had done. I am inclined to believe her, so I thank you for saving us. It has been business as usual since then, I’m afraid. I was accepted into the inner circle of the Companions, which I felt was a great honor. But… it apparently entails becoming a werewolf. Just what I always wanted: to be an overly-large dog. Oh. And you wake up without any clothes on. The joys continue. My qualms aside , there is much to be gained through having this power: while I may no longer feel well-rested, I am also immune to illness. And if I decide I do not wish to have this power anymore (although I doubt it), I hear there is a cure. Anyway, I tried out my new form and found it uncomfortable to move around as a lumbering dog, and discovered my Shouts are instead roars. I terrified Lydia, who left my company for a while, but she appears to have gotten over it and we travel peaceably again. I am told that you are familiar with heroes who fight dragons and are asked to drink blood and are given magical powers because of it. Any further insights you might have for me would be appreciated. It was worth it in the end. I am continuing to rise through the ranks of the Companions, and Aela the Huntress, the Companion whose werewolf blood I drank, has mentioned that she and I might go out “hunting” sometime. She is an able warrior, and I think she would be an asset. Not a friend; she is too unpredictable, but having someone like her at my command would be… beneficial. Meanwhile, I am also rising through the ranks of the Imperial Legion. They are busy quashing the rebellion, retaking forts, and I’ve been promoted to praefect. I suspect another promotion is coming, as I have just been assigned to a new campaign to regain another fort. Oh, and I met a woman named Delphine, who is apparently part of a secret order known as the Blades. They say they are loyal to only the Dragonborn. I am, of course, happy to associate myself with them. The Greybeards wish to remain in their temples and contemplate their Shouts, but Delphine has said that the Blades take action. The end of the world is coming, she says, and the Dragonborn can stop it. I’m not sure I believe the end of the world is truly coming, but if people believe that, and I can end the perceived threat… Well it would be advantageous for me, to say the least. I spoke to Legate Rikke about some of the lore Delphine had told me about, and she was dismissive and refused to answer my questions. I was suspicious, but it is also possible that she comports herself with military directness. I will continue to monitor the situation carefully. Khajiits always land on their feet. Speaking of landing on my feet, I also had to infiltrate a few parties and smooth-talk my way through them. Intrigue bores me, but I managed to acquire the information with little trouble; people here don’t seem to think too hard about things. I also acquired some fancy clothes out of the deal. Fancy clothes need a fancy place to keep them, don’t they? I also purchased that house I was telling you about in Whiterun, and decorated it. I didn’t realize Lydia would be living with me. I’ve never had a housecarl before… She seems awkward about it, as well, as she usually just stands around unless I invite her to sit or give her permission to sleep. I’m sure I will figure it out. At any rate, it was nice to be able to put my books, blacksmith materials, and other things I’ve been carrying around in a designated place where they will be safe. But back to the matter at hand. I have been trying to get more information about this end-of-the-world business. In response to my meeting with the Blades, the Greybeards sent me to meet Paarthurnax in order to aid my quest to vanquish the dragon Alduin, who is apparently the reason the dragons are being reborn, and who will be responsible for the end of the world. It was quite an experience, talking to a dragon. It was quite an experience learning how to breathe fire, as well. I was sent to the underbelly of Rifkin to rescue another Blade, and was approached by the Thieve’s Guild. Sleight of hand and trickery, petty crime, and shakedowns of local inns? I will not be a part of this. They asked I collected on some of their protection money debts, but I did not. 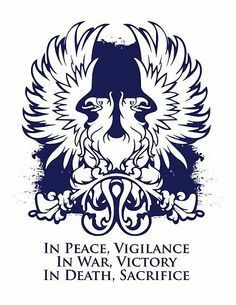 While those people may owe a debt and that should be paid, the Thieve’s Guild also should not be extorting protection money. I was disappointed I couldn’t figure out a way to bring them to justice. I tried to walk away, but… I was compelled to ask. It is slow-going at times, although I am becoming very familiar with the country so often travel seems to take almost no time at all, which has made my progress much more efficient. I have a few more errands to run in order to increase my power as Dragonborn (and possible Imperial Legion promotion), so I must unfortunately cut this letter short ad my duty calls. Oh, and one other thing I cannot explain. Lydia and I were underground for a quest the Companions sent me on. As we fought, I had the strangest feeling of deja vu: I could have sworn we had fought that battle before and Lydia had fallen, and it was as if I could anticipate how the enemy was going to move. We made it through the battle unscathed. Is this an effect of the magic in Skyrim, do you think, or something else? I feel that my journey is beginning to reach its conclusion, whatever that may mean. Am I missing any important occurrences that I should really check in to? People I should meet? I look forward to hearing your response. Postscript – I have also become quite adept as slaying dragons. In party clothes, no less! I… did not realize until this moment how very many dragons we’ve faced. May the grace of the gods continue to smile upon me during this journey. Thanks! I’m sure we’ll hear from him at least one more time! Thank you for sharing. Love your article. Felt like I was part of it playing the game. It would be cool if you can post the continuation of it. I’m a big follower. Missing any occurrences? Skyrim’s not that kind of places. Travel at your own pace, Ra’zirr. Just make sure you visit all the towns. You’ll get most of the important stuff that way. Woot! Dragon slaying is fun. Perhaps Ra’zirr isn’t such a bad guy after all. He’s not a bad person, just extremely self-centered. Sort of like Loghain.